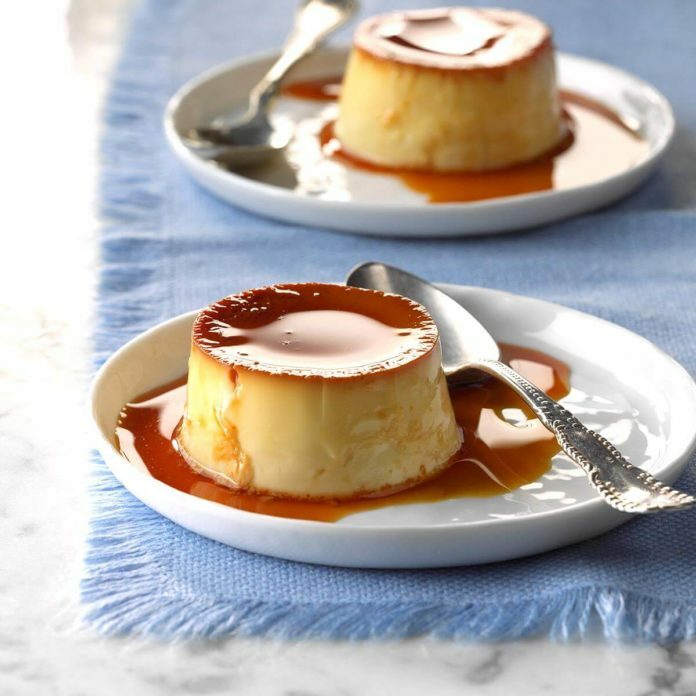 Spoil yourself or the people you love with these delightful portable custards. They're a cute and fun take on the Mexican dessert classic. Tuck a jar into your lunchbox for a sweet treat. In a small heavy saucepan, spread sugar; cook, without stirring, over medium-low heat until it begins to melt. Gently drag melted sugar to center of pan so sugar melts evenly. Cook, stirring constantly, until melted sugar turns a deep amber color, about 2 minutes. Immediately remove from heat and carefully stir in 1 tablespoon hot water. Quickly pour into six hot 4-ounce jars. In a small saucepan, heat coconut milk and whole milk until bubbles form around sides of pan; remove from heat. In a large bowl, whisk condensed milk, eggs, egg yolk and salt until blended but not foamy. Slowly stir in hot milk; stir in vanilla and, if desired, rum. Strain through a fine sieve. Pour egg mixture into prepared jars. Center lids on jars; screw on bands until fingertip tight. Add remaining hot water to a 6-qt. slow cooker; place jars in slow cooker. Cook, covered, on high 2 hours or until centers are set. Cool 10 minutes on a wire rack. Remove jars to a 13x9-in. baking pan filled halfway with ice water; cool 10 minutes. Refrigerate until cold, about 1 hour. 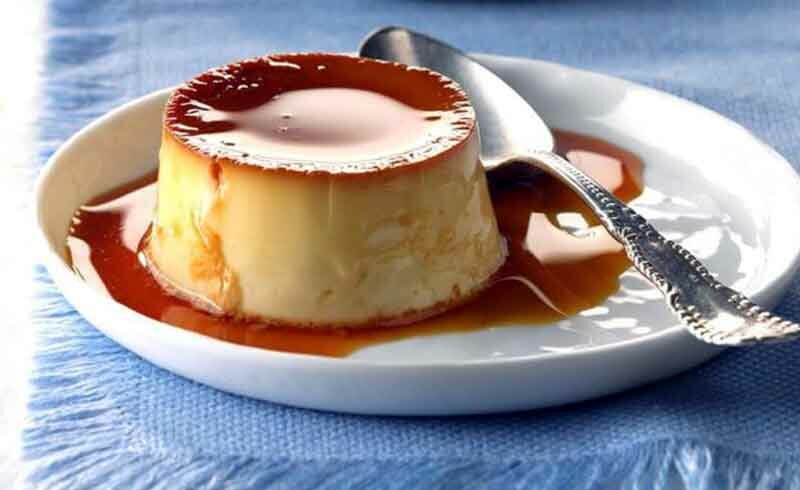 Run a knife around sides of jars; invert flans onto dessert plates. You can use rum extract in place of the dark rum.